Prior to the eviction, Fessy pulled Tyler aside to connect some dots for him. He explained that Kaitlyn told him on Day 8 that he is her soulmate. It turns out that she was telling Tyler the same types of things. 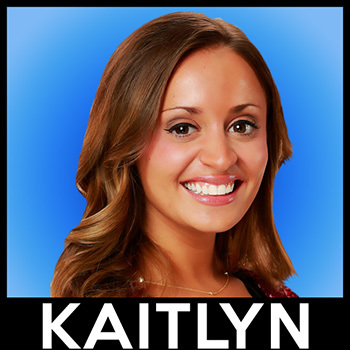 After Kaitlyn failed to put together a 6-piece puzzle that production clearly intended for the evictee to complete, her eviction stood. Oddly, if she had just closed the legs of her puzzle pieces, she would have solved it. Pretty much sums up her game. After her eviction, houseguests compared stories about her. Brett admitted that she was constantly trying to push herself into him if she laid in the bed with him, and there is some footage of Kaitlyn appearing to give Brett a tickle on his pickle. Fessy came clean with the houseguests about the way that Kaitlyn acted towards him and the things she said to him. With her sexual advances on 3 men, the houseguests speculate that Joe may not even be her real BF, and if he is, he’s not anymore. Yep…pretty well sums it up. Kaitlyn is going to have a hard time assimilating back to life before BB because she blew it up her real life while in the house, and no one is keeping her secrets anymore. The live feeds came back late on Thursday night for what sounds like a competition that mainly involved luck. 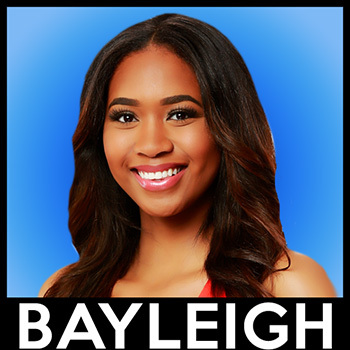 Bayleigh won HOH. She is trying to set herself up with multiple alliances. She wants to give Tyler a week to reset after Kaitlyn. Her leaving is the best possible thing for his game. Rockstar continues to push for an all-female jury house. After 1-on-1 meetings with the houseguests (except for Fessy trying to intrude on Haleigh’s and Bayleigh and Haleigh having to kick him out), Bayleigh is sticking with her original alliance of 5 but is forming side deals and asks for people’s loyalty over people that they’re already aligned with, using the all-girl alliance with the females and seeking protection from the males. After her meetings, she wants to take a number away from Kaycee, Rachel, Angela, Brett and Sam, and wants to target Brett. She gets Rachel to agree to be her pawn, although JC was in the running. He talked her out of it. The following morning, Rachel felt as though she just signed Brett’s eviction and is having second thoughts about sitting on the block. Too late…she and Brett were already nominated. Despite having never been on the block, Bayleigh is bitchy to Rachel and doesn’t know if she wants to work with her moving forward. She tells people she doesn’t care which of the nominees are sent home. The POV comp was played by Bayleigh, Rachel, Brett, Tyler, JC and Sam. It was an elaborate maze and puzzle from what I picked up from the live feeds. It was an individually timed comp. 3 of the 6 players timed out on the comp. Bayleigh placed 3rd, Brett 2nd and Tyler won the POV. He is trying to come up with a way to use the POV to get Scottie on the block by saying that Scotty is probably his best friend in the house. He thinks that if he pushes that angle, he may be able to get her to put him on the block. Trying to use JC’s hinky vote against Scottie doesn’t seem to be working because he literally swore on The Bible that he didn’t do this one. Bayleigh knows that Scottie voted out Swaggy (Swagless) while wearing a Swaggy t-shirt. 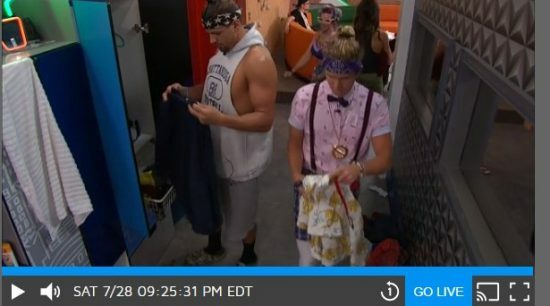 Kaycee told Tyler about the all-girls alliance, so now the men are aware of the female alliance and they’re trying to keep their numbers. 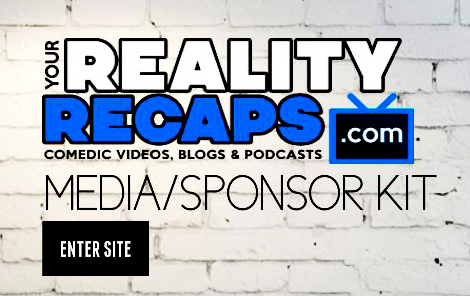 Angela and Kaycee are pretending to go along with it, and Rockstar is leading the charge. The women have apparently named themselves the Man Eaters. At least, that’s what Brett told Fessy during a late night hot tub meeting. Brett is working on the 5 men left in the game.